September 23, 2017 will be a cleanup day for local beaches and rivers as well as for the Islas Marietas National Park; the work begins at 10 a.m. and continues through till 10 p.m.
Keeping the region’s beaches clean helps its image with tourists, plus it helps the environment and raises the quality of life for both visitors and those who live here, making it a shared responsibility. This is why several entities have joined the effort, including the National Commission of Protected Areas (Conanp, by its acronym in Spanish), Sierra de Vallejo-Río Ameca, Bahía Unida, Islas Marietas National Park, the Environmental Office of the Puerto Vallarta City Council and the Cabo Corrientes City Council. 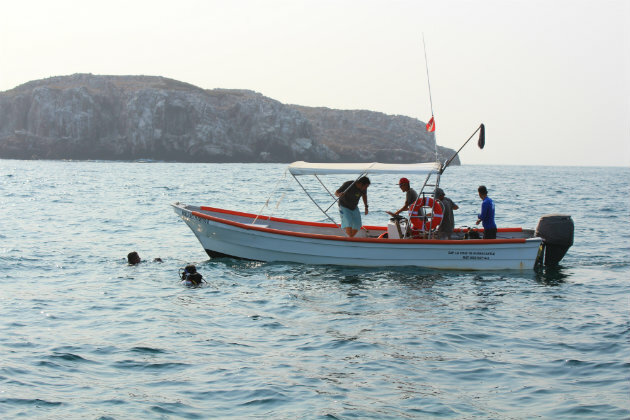 Both Puerto Vallarta and Cabo Corrientes have their own program. The cleanup will include not only the beaches but also the rivers and the Islas Marietas National Park; work begins at 10 a.m. and lasts through 10 p.m.
- The first stop in the Riviera Nayarit will be at the beach at Destiladeras, led by the crew from the Palladium hotel; the meeting point will be at the esplanade at the beach entrance. - A cleanup crew led by Tropical Incentives will work on La Manzanilla beach at La Cruz de Huanacaxtle; the meeting point will be at the beach entrance. - The meeting point for cleaning up the beach in Bucerías will be at the statue of the Diver across from the main plaza. - The Fibba crew is in charge of cleaning up the beaches of Nuevo Vallarta Sur and Nuevo Vallarta II. The meeting points will be at the “windows to the sea” at both beaches. - The tourism service providers who will be engaged in cleaning up the Islas Marietas will depart from different areas along the bay and will meet in front of the islands. The Riviera Nayarit is a destination that’s committed to keeping its environment clean, as it’s one of its main attractions. Its natural bounty has made it a sanctuary for humpback whales, giant manta rays, whale sharks, and sea turtles, not to mention it’s one of the top areas in the country for bird watching. The invitation to help clean the beaches is open to everyone in the community. Volunteers are asked to take gloves and a refillable water bottle in order to avoid generating more trash. For details call: Tel. 224 9121 | Cel. 322 1823134. To celebrate World Car-Free Day, the Riviera Nayarit will be participating with a bike ride on September 22nd starting at 6 p.m. sharp. The meeting place will be at the Paradise Plaza in Nuevo Vallarta. The loop will go around the entire bike path. The National Commission of Protected Areas (Conanp), Sierra de Vallejo-Río Ameca, Bahía Unida, Islas Marietas National Park, Pronatura, Fondo Noroeste (Fonnor) and the Puerto Vallarta City Council are sponsoring the activity.